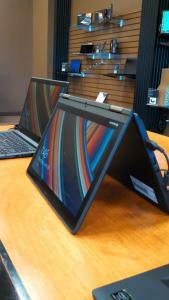 We recently received some really great products thanks to Lenovo. Our package included the new Yoga, X1 Carbon, and T440 ThinkPad. All of these devices have amazing features that is capable of conquering any task. The ThinkPad Yoga is less than an inch thick and will have up to 8 hours of battery life. The 12.5”screen bends back a full 360 degrees to easily display content. The X1 Carbon ThinkPad is the lightest 14” Ultrabook currently in the world. It’s only 17mm thin and weighs less than 2.9 lbs. Another neat is the integrated gesture control technology which allows users to transition from web pages by a simple wave. The ThinkPad T440s has a full high-definition display along with a spill-resistant keyboard. It is the 4thgeneration out of the Intel Core processors. It also allows users to switch dead batteries without having to shut down through the use of Power Bridge technology. The new desktop, M93p Tiny, contains power and performance of a tower in a smaller more convenient size. The Tiny tower consumes 50% less power than a normal processor and can be placed virtually anywhere:on a shelf,under a desk, or docked on a wall. The ThinkPad 8 is a Windows tablet that has all the power and processing power of a laptop. It has an 8” screen and is perfect for light tasks and web browsing. It’s a nice piece of tech to access content on the go. Android gave the audience a sneak peek of the new smart watches that will be released later on this year. Like most smart watches out on the market, the watches will measure health analytics and alert the user when they have a notification through the use of sensors. But what distinguishes these new watches from the rest is the voice capability and the automatic sync from watch to phone. Another neat thing is when a user receives a call, a picture of the person who is calling will appear on the screen. The user can even dismiss or answer the call through voice, which is great for driving. Android is gearing up with other great companies, like Samsung and Motorola, to bring the latest in wearable technology to the public. The new Android One smartphone will include a dual SIM card, 4.5 inch screen, and whole new interface. Android claims that the phone will cost under $100, which is a great price compared to other phones currently on the market. Developers wanted to create a whole new phone that changed the way pixels were used. Google’s SVP Sundar Pichai asked, “What if pixels not only had color, but depth?” and that is why Android decided to change the user interface. With the new L update, phones will have brighter colors along with a “ripple” effect. Notifications will automatically show up on the main screen, and the user can seamlessly respond or dismiss the notifications. Another neat thing is the way users are able to unlock their phone. Android wanted to make the way users unlocked their phone more personnel by using wearable tech. For example, the user can unlock their phone will use of a blue-tooth enabled smart watch. All of the software and updates will come straight from Google, which will eliminate third party software that may be infected. Through the use of Chromecast, users can display SMS messages,pictures,and videos on a TV without having to be connected to a Wifi hotspot. Which is great for those who have long passwords or just want to simply play it safe. Users can even access movies and video games straight from the Google Play Store! Video games are controlled by either the use of an Xbox look-alike controller or a tablet, which allows the user to play with the controller of their choice. Another great thing, is the new ambience backdrop. 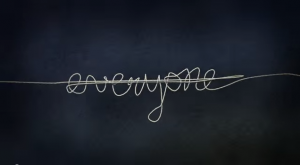 Android looked at blank TV’s as a canvas and decided to opt in for a more personal effect. The new backdrop will include pictures from artists and places from all over the world and will even provide information of when and where it was taken. Smoke alarms have been a major pain since the dawn of time. You constantly worry if the batteries are still good or if that ear piercing beep will go off while cooking a special dinner, but do not fear NEST is here! The new NEST thermostat and fire alarm is the next household item that is a must have. Not only does it come in a sleek stylish design, but the functionality of the device is what makes it so desirable. In a moments eye, disaster could strike without warning. NEST will send you notifications by voice and a light flash if it detects that CO levels are abnormal. Carbon Monoxide is an odorless gas that can fill your house and affect your family within seconds. With this becoming a major issue, States are now making CO detectors mandatory. Another great thing is that the display shows you what state your alarm is in and is also available on your smartphone. Most of you leave the house and forget to change or reset the thermostat without a thought. Programming a thermostat is a pain, but the new NEST “remembers” what temperatures you prefer. Just set the thermostat like you normally would and the nest will mimic your patterns and will create a personalized schedule based on your actions. And if the weather decides to change or you come home early, you can change the temperature straight from your mobile device. 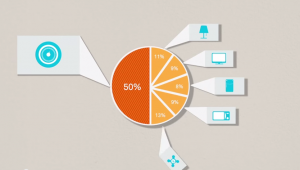 Did you know that your heating and cooling system takes up 50% of your energy bill? By auto-scheduling your thermostat it is possible to save up to 20% on your next energy bill. Another great thing with nest is that it gives you detail insight to how much energy your device is using that you can monitor off of any mobile device with the Energy History app. It’s summer-time in Amarillo and that means construction projects are taking place all over the city. One of the larger projects is the complete curb-to-curb renovation of 34th street between Coulter & Soncy. Of course there are pros and cons to construction projects of this scope. First, 34th street has been needing work for some time and that’s understandable. But, the project will be interrupting the flow of traffic down one of the main traffic pipelines on the West side of the city. This project is a huge project and has been projected to last into January of 2015. There have been some local media outlets even suggesting that people avoid 34th street during this time. The thing about this is, there are many local businesses that are along this route that rely on the patronage of people driving this route. cat-man-du is one of these businesses. We want to first say thank you to all of our customers who have ‘braved’ the construction up until this point. We will continue to be offering our award winning service as always. 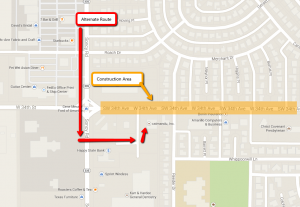 We also want to let our customers know that there is an alternate route to get to our Amarillo location during the construction. Less than a quarter mile South of 34th street on Soncy, there is a parking lot that leads directly to cat-man-du and McAlister’s Deli. So, next time your headed to cat-man-du to drop off your computer for diagnostics/repairs, pick up your brand new laptop or tablet, or schedule a business networking/server project, you might want to consider this tiny detour to save you the headache of the 34th Street construction. See below for a map of the detour route. Also, don’t forget to get entered to win a BRAND NEW Lenovo IdeaTab Tablet! When I first heard about this app called YO, it didn’t really spark my attention at first. But after seeing that this app has climbed from the bottom to the top 50 most downloaded apps on iTunes, I immediately became interested in what the fuss was about. 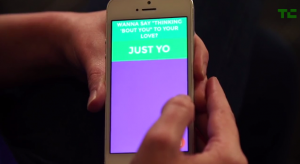 YO is in incredibly simple way to communicate with friends without saying much. You simply download the app onto your smartphone create a username, invite your friends, and you’re on your way. Once your friend has accepted your invite, tap on their username and send them a YO. You can’t send pictures or texts, so there’s no need to worry about spelling mistakes, leaked photo’s, or unintentional flirting. The app available for both iPhone and Android users for free. 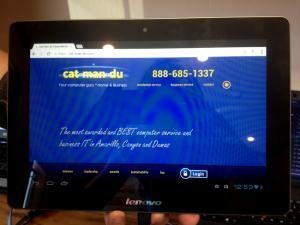 cat-man-du has been Amarillo’s go-to company for computer repair and business IT for the last 11 years and we want to thank you! So here’s what we’re doing. We’re giving away a brand new Lenovo tablet. Lenovo devices are known for being extremely durable, fast, and increasingly popular. Don’t miss your chance to walk away with this tablet! Like and follow us on Google +, Facebook, and Twitter. Each “like” or “follow” will count as an entry. We will be keeping track of these daily in our office. (You are not allowed to “unlike”/”unfollow”, then “relike”/”refollow” to gain more entries. This will just count as one entry). Everyday, technology is being revolutionized in all subjects that will change the future. Last week, HP, announced it’s plans to change the way computer’s work with The Machine. HP first started with the idea of creating a supercomputer that transfers data at lightning speed. Within 250 nanoseconds, The Machine would have processed 160 petabytes, HP says. There were many obstacles within the architectural aspect of the computer. For instance, Instead of using outdated copper wires, the new machine will opt for a strand of fiber withphotonic cables that transfers up to 6 terabytes at a time. Not only are these cable’s made for an extreme amount of data transfer,but they will require 89% less energy. Memristors is another great feature of the technology that lies within the supercomputer. Memristors store information with little to no power and is considered cheaper and faster than flash drives and DRAM. Hp wants “You to be able to store your entire life; think of 100 terabytes on your smartphone,” HP’s Martin Fink said. Imagine having the world’s database in the palm of your hand’s. Doctor’s can compare patient’s results in a different geographic location and share photos all across the globe in a matter of nanoseconds. With this new technology, the possibilities are endless. Silent Circle, along with Geeksphone ,developed a privacy-protecting smartphone. After Snowden leaked NSA secrets, developers became more interested in protecting the public’s privacy. The communication and encryption software with the new “Blackphone” is designed for maximum privacy. 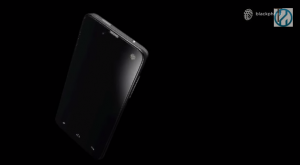 In terms of hardware, the phone has 4.7-inch HD screen, 1 GB of RAM, 16 GB of storage, and an 8 megapixel rear camera. The phone is packed to the brim with software to protect your location, unless you allow it. For example, if you want to use Google Maps to get traffic directions, you can simply allow the program to track you for however long you wish. The phone is also able to set a “dummy” location if the app requires GPS location. WiFi base stations can pick up the location of any wifi able mobile device being used in that area, even if the wifi isn’t being used. The Blackphone software blocks the location and data, until the user is home or at the office.Silent Circle is not about tricking the government, the company is about “ Putting a stake in the ground for your right to have truly private conversations and to conduct your business without fear of compromise”. The phones will be released three weeks from now and the starting price is about $629. NFC (Near Field Communication) chips are commonly used for mobile transactions, but most people don’t know that are many uses to these handy chips. With the recent spotlight, people and corporations are finding useful and creative ways to put the NFC chips to use. 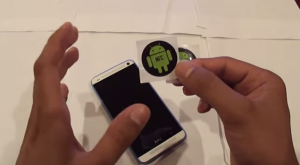 NFC tags can be placed onto any surface and can be programmed to make life simpler. The tags take a small amount of power from the smartphone and stores the information onboard. If you’re looking into transforming your house into a “Smart home”, start with a simple NFC chip. By using Ninja Blocks, users are able to dim, turn on, or turn off their lights from their mobile device. Most of you know how annoying it is to be in the middle of a meeting and a co-workers phone goes off. By installing an NFC tag onto the inside of an office door, you are able to silence phones and even turn on Wi-Fi the moment employees walk through the door. With the use of NFC tags and cars that have Bluetooth capability, driving has never simpler. By implanting an NFC tag in your car, you are able to automatically turn on your GPS and even start your favorite playlist! Nothing is more disturbing than receiving a phone call or notification in the middle of a good nights sleep. Place an NFC next to your bedside that automatically puts your phone in silent mode. Do you always forget to set your alarm? Let the NFC tag handle your forgetfulness. Corporations, like Samsung and Fox, are already putting NFC tags to good use. By placing an NFC tag inside billboards and posters, customers are able to find the location of any business by swiping their phone across the content. Maps (or whatever navigation program you prefer) will automatically locate the business and provide directions. Google is about to launch a $1 billion project to bring internet access to the most remote parts of the world where it is impossible to set up fixed broadband or cellular towers for mobile data. 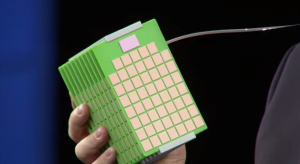 Over ⅔ of the worlds population has no access to internet and Google is trying to change that number by sending up 180 compact-sized satellites into space. The project builds on Googles last effort Project Loon, which is a balloon powered internet provider. The Project Loon balloons travel around in the stratosphere and uses wind currents to move around. Unlike Loon, the satellites will travel close to the earth and will be controlled by engineers through the use of beams here on earth. Google is not the only company that is employing satellites, Facebooks CEO Mark Zuckerberg said in a post “We’ve been working on ways to beam Internet to people from the sky,”. Zuckerberg has teamed up with several tech companies to develop a droid, but no detailed specs have been released since.